Malia Nawahine was BYU’s nemesis for several years. Not anymore. 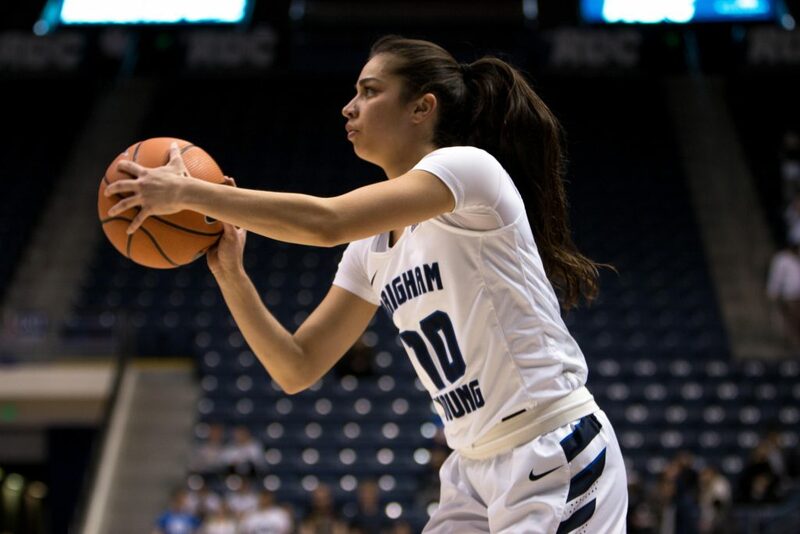 Nawahine transferred from the University of Utah’s women’s basketball team to BYU, where she is now a starting guard. Before her time at the University of Utah, Nawahine led Springville High School to an undefeated season and the 4A state title in 2013 and was named the Gatorade Utah Girls Basketball Player of the Year. Nawahine started her career at Utah in 2013. She knows all about the rivalry between the Utes and Cougars, saying it “is a very big deal.” She felt like her new team “played for her” in their win against the Utes on Dec. 9. 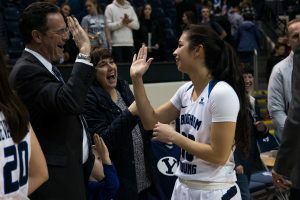 Nawahine said there are two things she likes about transferring to BYU. The first is how her religion is incorporated into school, and the second is how much she loves her basketball coaches. Nawahine said the hardest thing about leaving Utah was leaving her former teammates, but she has been welcomed by her Cougar teammates. BYU guard Brenna Chase said she loves playing with Nawahine. Cassie Broadhead Devashrayee said she is thankful Nawahine is here at BYU. Devashrayee said Nawahine has great skills the Cougars needed this season. 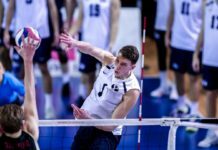 Nawahine said this season with the Cougars has been filled with ups and downs, with so many new players. 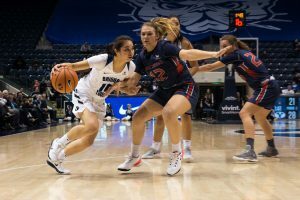 But she said the team has improved over the course of the season, and it’s showing up on the court — like the first week of January, when Nawahine earned West Coast Conference Player of the Week honors after scoring a combined 48 points against San Francisco and Pacific. Coach Jeff Judkins asked Nawahine to take a leadership role on the team, especially on defense. 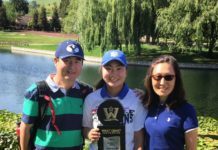 “Malia is a special kid because of what she can do defensively,” Judkins said. “To have her be able to do so many different things, guard different players and do this — I kinda wish I would have had her the last three years,” Judkins said. Also tune in to the Daily Universe Sports podcast featuring the interview with Nawahine.